Fastest man in the country? That's an unwritten title in some ways. You can win state titles, maybe a national championship. But did you end the season with the fastest time on record? That's what Miami Norland (FL) High junior Tyrese Cooper will try to do yet again in 2018, though his season will be tougher than ever, with Floridian's Jamal Walton and Anthony Schwartz, Georgian's Brian Herron and Elija Godwin, and Texan's Kalon Barnes and Edward Sumler. Watch out for the show this spring, because it's sure to be on fire. 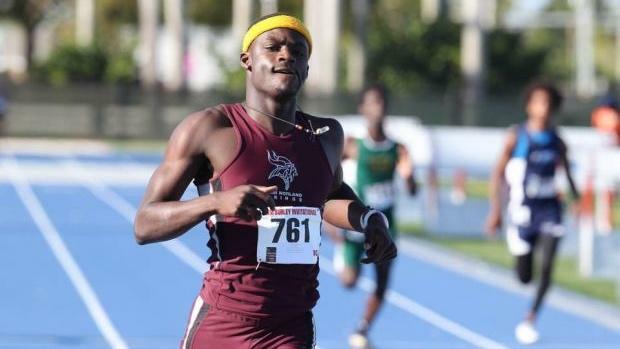 After the break, we have the top 20 boys in the 200m currently this outdoor season.